Synthesis, characterization and antimicrobial studies on Cobalt (II), Nickel (II), Copper (II) and Zinc (II) complexes of N, O,S donor Schiff bases. 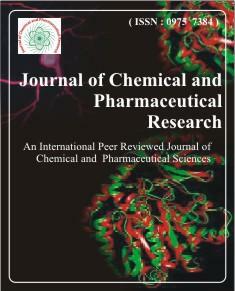 Synthesis and biological evaluation of (4-substituted benzylidene)-3-methyl-1-(substituted phenyl sulfonyl and substituted benzoyl)-1H-pyrazol-5(4H)-one asanti inflammatory agent . S. B. Zangade, J. D. Jadhav, Lalpod, Y. B. Vibhute*, B. S. Dawane.